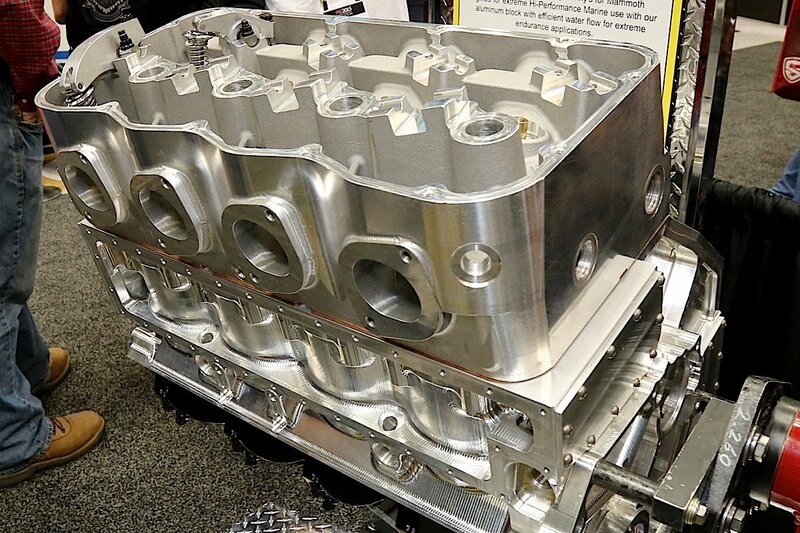 Sonny’s Racing Engine’s new marine block and head was on display at the recent PRI show. 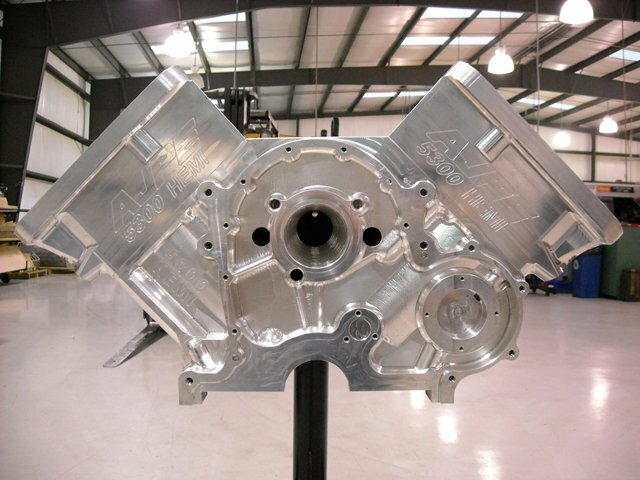 Sonny Leonard wants to share his mountain motor technology with the marine market, so that means Sonny’s Racing Engines had to design a new all-billet aluminum cylinder block and semi-hemispherical heads with 5.300-inch bore-spacing and large water jackets. The first units were on display at PRI, and two more are headed to a pair of well-known marine engine builders to develop both boosted and naturally aspirated big-inch prototype engines that will be suitable for large powerboats in salt or fresh water. “A lot of these will be for high-performance pleasure boats, those who like poker runs,” says Leonard. The 5.300 block will allow a 5.000-inch bore, and teamed with a 4.750-inch-stroke crankshaft the final displacement will be 747ci. Here are views of the water passages in the block and with the covers bolted in place. Here’s a look at the 5.300-inch bore space semi-hemi head from Sonny’s Racing designed for the marine market with larger water jackets. Since real estate is a valuable commodity in the boat world, especially with regards to width so as not to exceed towing restrictions, the 5.300 block will have advantages over more conventional blocks. Working with Harry Hruska at Precision Turbo, Leonard estimates a 747ci twin-turbo engine running 92 octane fuel could make 2,400 horsepower at 7,200 rpm with 14 to 15 pounds of boost. With 116 octane racing fuel and 30 to 32 pounds of boost, that same engine could crank out 3,500 horsepower. On alcohol at 43 to 45 pounds of boost, you’re looking at 4,200 horsepower. 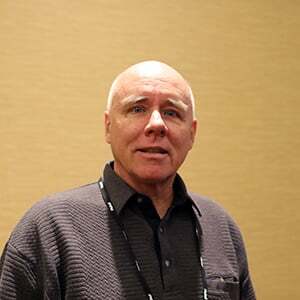 Leonard also made a few calculations for a naturally aspirated 860ci engine (5.045 x 5.375) running 92 octane, and it would make 1,500 horsepower at 6,500 rpm. Another 150 horsepower could be gained by using 112 octane fuel, boosting the compression ratio and stretching the range to 6,800 rpm. One of the keys to making such power is using Sonny’s semi-hemispherical cylinder head that helps hinder detonation under extreme cylinder pressures. Boats, of course, also have the luxury of circulating fresh cold water through the block. 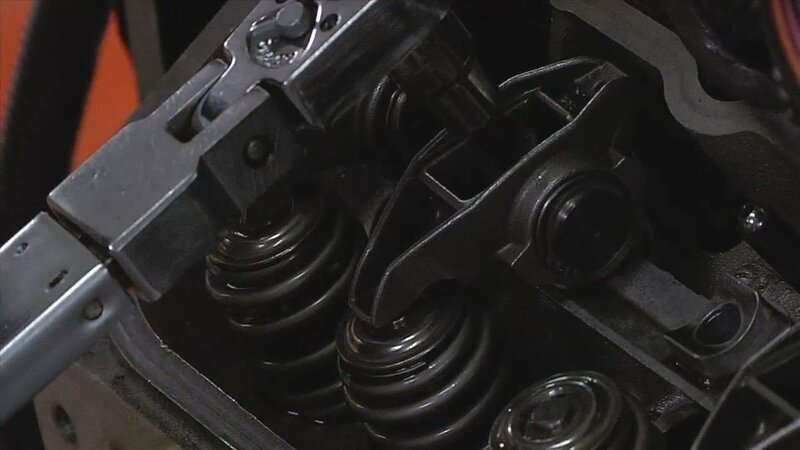 Closeups of the semi-hemi cylinder head. Note the large valves allowed by the 5.300-inch bore spacing and the direct flow for the exhaust ports. For the turbo heads, Leonard would design runners that would flow 621 cfm at .900 lift through 2.750 intake valve. Exhaust would be 431 cfm through a 2.030 valve at the same lift. The naturally aspirated version would flow a little more with a bigger cam and valve: 672 cfm at 1.100-inch lift through a 2.830 intake and 458 cfm through a 2.050 exhaust valve. More views of the block and head. Leonard worked with CN Blocks to design the billet machining that provides enough water flow around the cylinders. 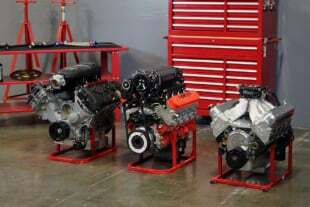 The block also supports 70mm cam cores, which allow the Pro Stock valve lift numbers. Sonny’s Racing also offers billet intake manifolds for any application, including supercharged. Leonard says the first engines should hit the dyno in 90 to 120 days. This won’t be the first time Leonard has played in the water. 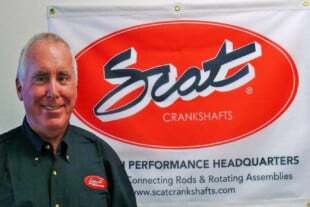 In the ‘90s he built a number of 698ci all-alloy, dry-sump engines for Hawk Marine for use in Cigarette offshore boats. They were rated at 1,000 horsepower and 1,000 lb-ft of peak torque. Price? $250,000! And some competition boats had three of them turning props. “We do have some credentials there,” he says.